One of the legends for the origin of the name Mangawhai, where our outstanding wines are grown. 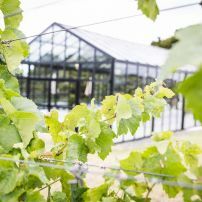 We are a privately owned boutique vineyard nestled in the foothills of the Brynderwyn range in the Mangawhai wine region. Our vineyard is situated on a hillside terrace in a valley described as Northland's Tuscanny. We produce handcrafted high quality wines in limited quantities. Our unique range of wines include: Chardonnay, Merlot,Chambourcin Bourdeaux style reds and Pinot Gris. Sample our wines at our Cellar Door or drop in for a platter and wines by the glass in our stunning vineyard pavilion from Labour weekend until Easter. commented on "Music in the vines ..."
commented on "Sunday 5 Feb 17 from 1pm ..."
commented on "By popular demand we are running another series of events on Saturday afternoons over summer between 7 Jan and the 11 Feb 17. ..."
commented on "installation of our Vineyard Pavilion is underway. This building will be available for functions of up to 120 people." installation of our Vineyard Pavilion is underway. This building will be available for functions of up to 120 people.